NEWPORT – Lake Sunapee Bank, a division of Bar Harbor Bank & Trust, announced in early January its commitment to support the Library Arts Center Gallery and Studio with a three-year pledge to the Library Arts Center’s endowment fund. 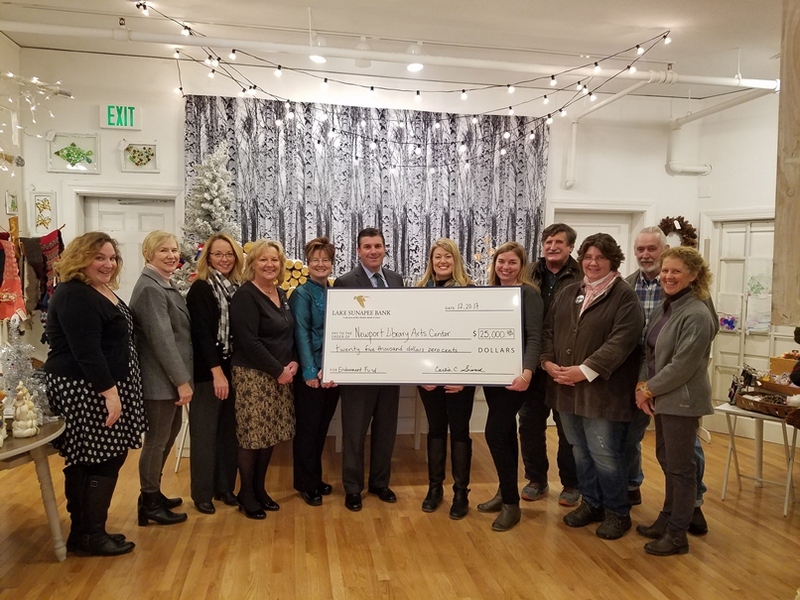 “As an advocate for community growth and social responsibility, we are proud to support the Library Arts Center in its efforts to provide cultural and artistic enrichment and educational opportunities in the community,” said Curtis Simard, president and CEO of Bar Harbor Bank & Trust, the parent company of Lake Sunapee Bank. “Lake Sunapee Bank’s commitment to s upport our endowment fund will help to secure a bright future for the arts center, allow us to expand our programming and visibility, and ensure that we are able to provide artistic and cultural experiences for the communities of greater Newport for many years to come. We appreciate their support and commitment to our community,” said Kate Luppold, executive director at the Library Arts Center.